Dave attended Liberty High School where he excelled in football and basketball. A linebacker and tackle in football, Dave averaged 15 tackles per game as a junior. During his senior campaign he increased his average tackles per game to 19 and finished his career with nine interceptions, three of them he returned for touchdowns. He led his high school basketball team to a pair of State B appearances with an eighth place finish in 1973. A native of Spangle, Wash., Dave continued his football career at Spokane Falls Community College (SFCC) (1974-75), where the team captured the Northwest Championship (1974). Dave was selected as the SFCC football team’s Most Valuable Player (1975) as well as being named to the Northwest Athletic Association of Community Colleges (NWAACC) All-Star squad. Dave went on to compete in football at the University of Washington (1976-78). A co-captain (1977-78), Dave guided the Huskies to a Pac-8 Championship (1977), culminated by a Rose Bowl victory over Michigan. After college football, Dave was drafted in the second round of the National Football League and played five seasons with the Oakland Raiders (1978-82). During his tenure a Raider, Dave helped Oakland claim the 1981 Super Bowl. 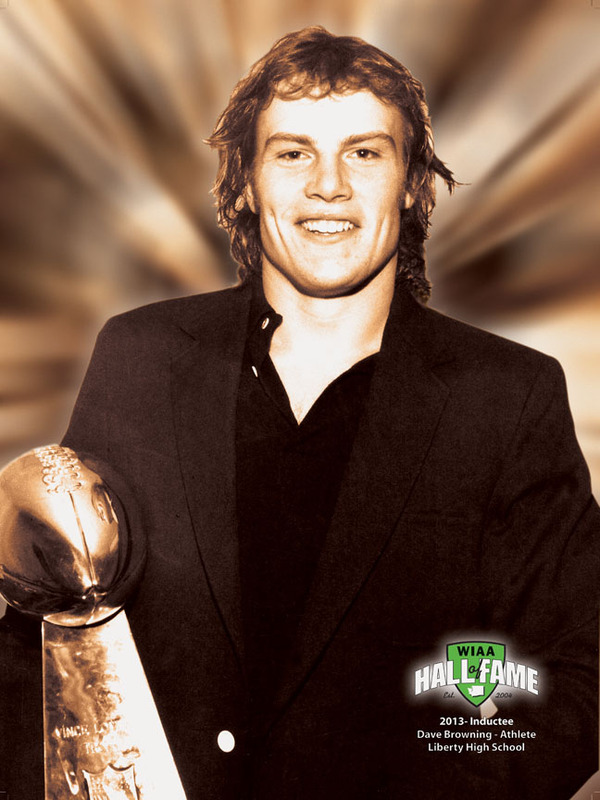 He continued his NFL career with the New England Patriots (1983). Dave finished his football legacy with the Oakland Invaders of the United States Football League (USFL) (1984-85) and retired in 1985. Dave has been inducted into both the Community Colleges of Spokane and NWAACC Hall of Fame’s. He was also a nominee for professional athlete of the year by the Greater Spokane Sports Association and Inland Empire Sportswriters and Broadcasters (1979).